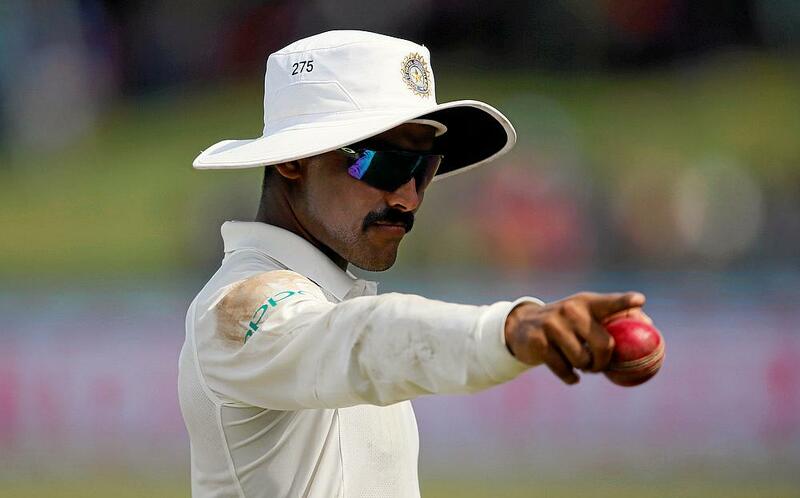 Ravindra Jadeja claimed a five-wicket haul as India overcame a 141 run knock from Dimuth Karunaratne to dismiss Sri Lanka for 386 runs in the second innings and completed an innings victory in the second Test in Colombo to wrap up the series. Sri Lanka, who made a promising start after they were asked to follow on, resumed their second innings with a score of 209 for two, trailing India by 230 runs. Malinda Pushpakumara (16) struck two boundaries in the 64th over and two overs later Lokesh Rahul dropped Karunaratne (141). But the Sri Lankan opener brought his sixth Test century with a boundary in the next over. The 40-run stand for the third wicket ended when Ravichandran Ashwin (2-132) castled Pushpakumara and in the next over Dinesh Chandimal (2) was caught in the slips to give Jadeja his first wicket. Karunaratne and Angelo Mathews (36) played positively as Sri Lanka ended the first session with a score of 302 for four. The pair added 69 runs for the fifth wicket but Jadeja produced a brute of a delivery that Karunaratne gloved to leg slip, that ended his marathon 307 ball knock. Jadeja continued his wicket taking spree as he removed Mathews and Dilruwan Perera (4) in his next two overs and Sri Lanka were left reeling at 321 for seven. Niroshan Dickwella (31), Dhananjaya de Silva (17) and Rangana Herath (17 not out) showed brief resistance but Jadeja returned back to complete a five wicket haul and dismiss Sri Lanka for 386 runs. 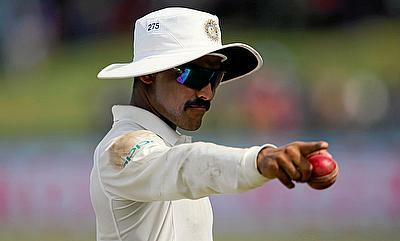 The win also means India have completed a 2-0 series victory with Jadeja bagging the man of the match award.